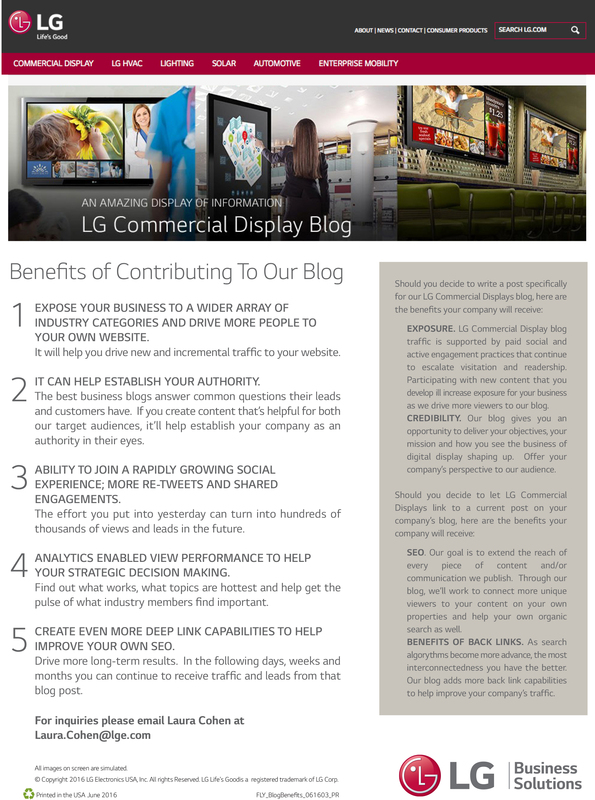 Welcome to the LG Business Solutions’ Blog. Here you’ll find the latest news, product information, tips, insights and more. We are dedicated to innovation and strive to help our clients adopt some of the latest display technologies on the market today.